"What should we do if we're not instructing?" "What if the children have different interests and ideas to ours?" "How can we understand what to do?" How different the challege is to work with imagination at the fore, rather than repetition and ingestion. What a positive call of encouragement Einstein's famous proclamation is, and I was prompted to hear more, so I tracked down the 1929 interview. If you click on the statement , you can read the full interview too - I hope you enjoy it as much as did I. Einstein discusses so much, so elequently - the artistry of being, thinking, examining, living - and the serious danger of living withough so doing. "Life," Einstein said later in a letter to his son, "is like riding a bicycle. To keep your balance you must keep moving." Maybe that is good enough advice for us educators too, as we learn, uncertainly, but with inner energy, how to do things differently: learning how better to work with our children who themselves are also born natural examiners of worlds. ​Here is a documentation project which is powerful and poignant for all those moved by the story of Reggio Emilia and the emergence of its preschools. Prof. Dr. Sabine Lingenauber & Janina von Niebelschütz of Fulda University have been engaged on a three-year interview and research project which projects the experiences of the determined young women of Reggio Emilia in the 1940's. RESISTANCE-RELATIONSHIPS-MOVEMENTS are very apt constructs in their presentation of these powerful interview-memoirs. "The narrations of Ione Bartoli, Eletta Bertani, Giacomina Castagnetti, Loretta Giaroni, Lidia Greci, Marta Lusuardi and Carla Maria Nironi bear witness to events that should be remembered. 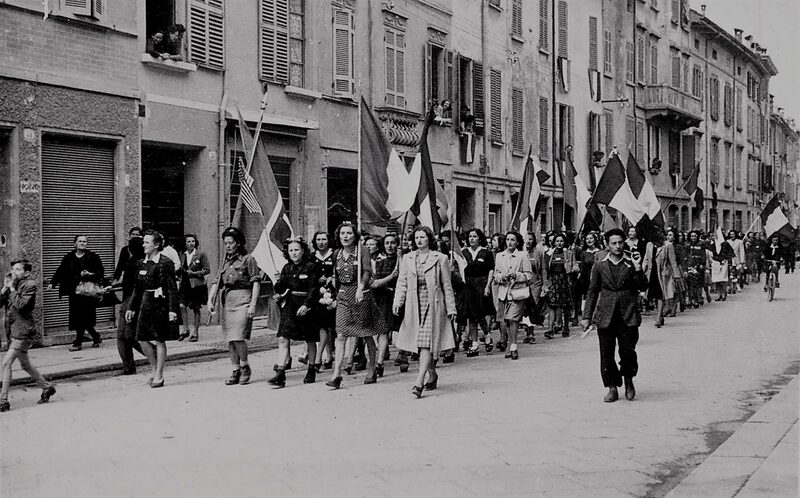 They show how female partisans, citizens, councillors, politicians and municipal councillors influence the development of a new form of education (Reggio Emilia Approach) in Reggio Emilia from the Resistenza (1943–1945), to the women's movement and up until today." They have also just released a beautifully-shot photo-album; the photos accompanying further interviews which recount the women's experiences of participation in resistance and their subsequent courageous, persistent actions in the community as they worked to establish the presence and characteristic of the preschools in the city.​ You can buy it directly online here from their publisher.